Bra Preteen - Not surprisingly there are a multitude of misconceptions when it comes to preteen training bras and when a young girl needs to start wearing one. Though it may come as a surprise to many, there is no magical age or defining moment to know when the time is right for a training bra, and buying one can be confusing. From the classic, "my daughter doesn't need a bra," to "how long do we need to wait," we’re debunking the monumental myths surrounding preteen lingerie and giving you the facts that you need to know. Fact: Even preteens that are the smallest size can benefit from a bra to support the delicate breast tissue and to give her the coverage and privacy she needs as her body develops. If you wait too long, she’ll become embarrassed about her breasts and will be uncomfortable without support. Sometimes, young girls may ask for a training bra much earlier than needed due to the influence of their peer group. Little girls love teen clothing, and generally love to keep up with what their friends are wearing! Fact: Today’s preteens are busy girls and they live active lifestyles. 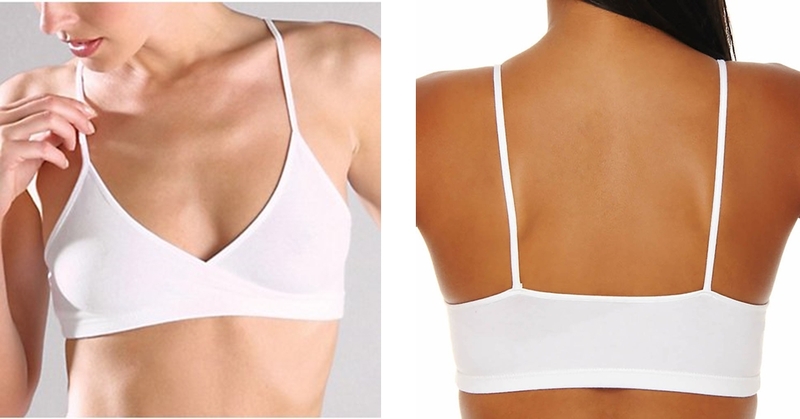 She will likely need several bras and styles to accommodate all of her needs and to make sure she always has one in rotation when the other is in the wash.
Make sure she that has a bralette and / or bra camisole for everyday comfort, a style with underwire cups if she’s more developed, and a sports style to wear for gym class or playing sports. Fact: There's not getting around this - it’s always necessary to try bras on, at any age or stage. Simply assuming that she just needs to buy the smallest size and take it straight home can backfire if you buy the wrong one, which is easily done. No matter what her size is she needs to give a bra a quick try to make sure the style fits properly and that it feels comfortable to wear. That means soft fabric with no chafing around delicate breast tissue. Fact: Preteens can benefit from wearing a bra at all times, not just when they’re playing sports or wearing sheer tops. No matter what she’s wearing or doing she’ll crave the extra coverage and the comfort of privacy to conceal her changing body - young girls are extra sensitive in this regard. She’ll also get into the habit of making a bra part of her daily getting dressed routine and will enjoy the support that she gets when wearing a bra as she further develops. Fact: Even if you think that she really doesn’t physically need a starter bra it’s super important to get your preteen a bra if her friends are all wearing one. Why? Young girls are painfully aware of not fitting in or being the odd person out in their social group, so even if she doesn’t need one it will do wonders for her self-confidence to let her buy a training bra to match what her friends are doing. A bra preteen gives young preteens and teen girls a healthy diversion - feeling good wearing something nice and new underneath their clothing, instead of focusing on the constant differences of their body as they undergo the changes of puberty. Fact: Even preteen girls that are relatively flat chested will enjoy wearing a sports bra because of the extra coverage and support. She might not need a ton of support if she’s not fully developed but comfort-wise she will want an extra layer in between her body and her clothing or sportswear.